Assata Olugbala Shakur (born Joanne Deborah Byron) was born in Jamaica, Queens, New York, on the 16th of July 1947. While attending the Borough of Manhattan Community College and later City College of New York, she would begin her political activism career, by getting involved in black student political activities, student sit-ins and various protests ( including anti-war protests). After graduating from CCNY, she would join the Black Panther Party (BBP) and would eventually become a prominent member of the Harlem Branch of the BPP. 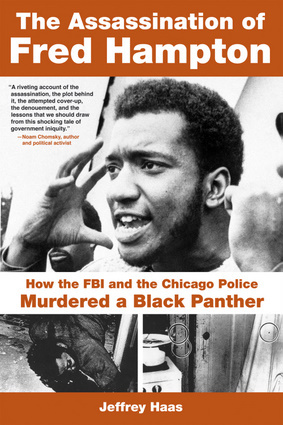 Eventually she would leave the Black Panther Party and would join the Black Liberation Army (BLA), which was an underground group created out of the backlash from the aggressive, racist,brutal and often times illegal practices from local Police and the FBI (Cointelpro), who infiltrated black political organizations and even took part in the assassinations of Black Panther Party leadership, including Fred Hampton, the Deputy Chairman of the Illinois chapter of the Black Panther Party. In 1973 Assata Shakur was allegedly involved in a shootout with police at a New Jersey turnpike, in which she was accused of killing New Jersey State trooper Werner Foerster and assaulting trooper James Harper. In a four year period, from 1973-1977, Shakur would be indicted on six crimes, which included murder, attempted murder, armed robbery, bank robbery and kidnapping. The result would be three dismissals and three acquittals. In 1977 she would be convicted of the murder of Foerster and seven other felonies related to the turnpike shootout. In the 1970’s Shakur would be incarcerated in several prisons. She would escape prison in 1979, eventually fleeing to Cuba, where she would be given political asylum. The FBI currently has Shakur listed as a domestic terrorist and she has a 2 million dollar reward for her capture. To this day Assata still insists she is innocent of all charges.